Christian Dante White delivers a soaring rendition of Lerner & Loewe's classic love song "On the Street Where You Live" as the lovesick young aristocrat Freddy Eynsford-Hill in the Tony-nominated LCT revival of My Fair Lady. Christian previously appeared as the Scarecrow in Encores! The Wiz and on Broadway in The Scottsboro Boys, Shuffle Along, The Book of Mormon, Motown, and Hello, Dolly! 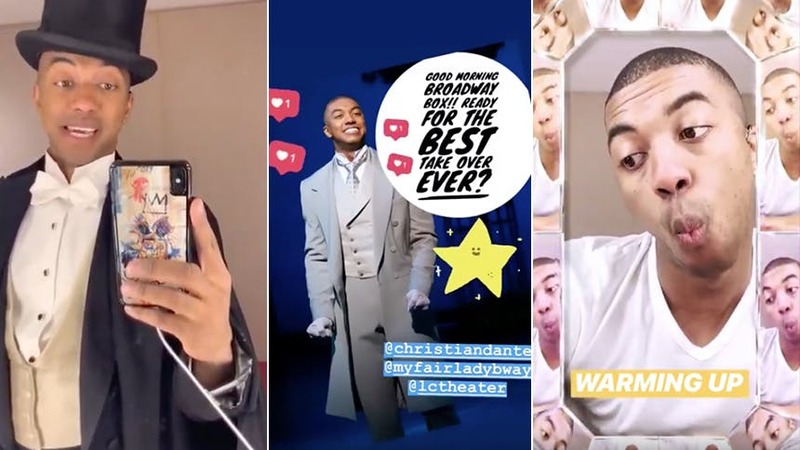 On February 9, CDW took over the BroadwayBox Instagram to give us a look at his two-show day at the historic Lincoln Center Theater and get to know this incredible company. Check out all the adorable shenanigans in the video below, and don't miss your chance to see Christian live in My Fair Lady.